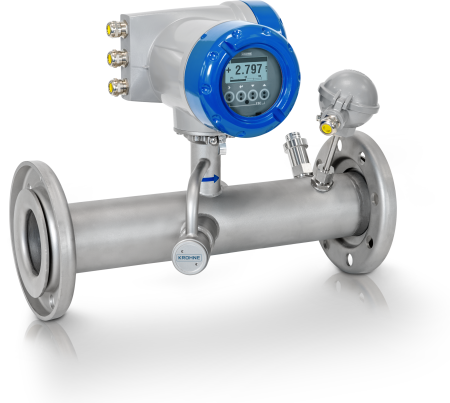 The OPTISONIC 7300 Biogas is an ultrasonic flowmeter for low pressure biogas, landfill and sewage gas applications. The flowmeter is ideally suited to measure biogas with a high CO2 content as well as small amounts of other media like H2S, nitrogen, hydrocarbons or condensation water. Its corrosion resistant titanium transducers provide a strong ultrasonic signal into the gas. The signal processing of the meter allows a better detection of small, strongly dampened acoustic signals. The OPTISONIC 7300 Biogas features an integrated temperature sensor and optional pressure sensor that enables a temperature and pressure compensated standard volume calculation. The biogas meter also allows accurate online measurement of methane content in biogas and sewage gas (just ±2% error of measured value). This saves on costs as additional analytical systems for methane measurement are not needed. The biogas meter provides a wide measuring range (turndown ratio: 100:1). The OPTISONIC 7300 Biogas comes with ATEX approval (zone 1) and digital communication options.